The CABHI-funded SOS Educational App for Healthcare has been announced the winner of the prestigious 2018 Ted Freedman Award for Innovation in Education. The major international award, administered by healthcare publisher Longwoods and the Canadian Association of Health Services and Policy Research (CAHSPR), recognized the innovative app for its achievement in enabling education in health services at a healthcare organization. 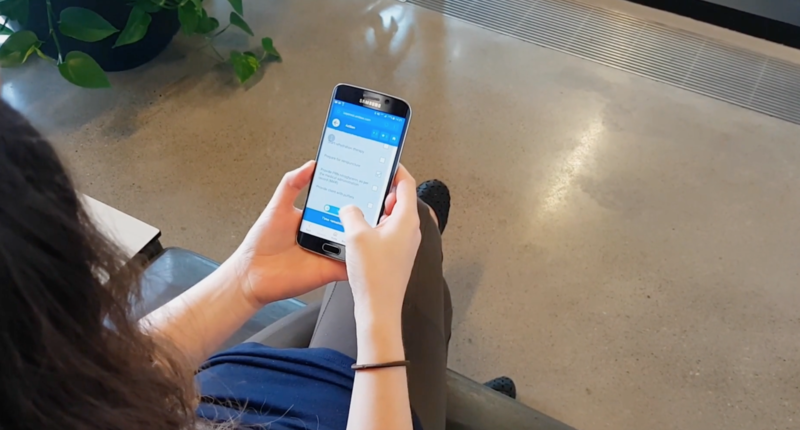 The SOS app team is led by manager Dr. Raquel Meyer and interprofessional educator Jennifer Reguindin of Baycrest Health Sciences’ Centre for Learning, Research & Innovation in Long-Term Care (CLRI). With nearly 33% of the frail elderly population being admitted to hospital from long-term care unnecessarily, point-of-care staff including nurses and personal support workers must be more skilled than ever in observing and responding to early, subtle signs of acute deterioration. The SOS Educational App for Healthcare aims to strengthen geriatric specialty knowledge for these healthcare providers in order to prevent unnecessary emergency room visits. The unique app, which can be accessed on one’s smartphone or computer, presents simulated case scenarios involving elderly clients to users in a multiple choice game format. Users – who range from working professionals to students – must assess these virtual clients based on the symptoms provided. The program enables users to monitor their learning outcomes and to tailor future learning to address identified performance gaps. “With the app, we took what students usually learn in a didactic manner and practice only under stressful situations and turned it into an opportunity to compete and collaborate amongst themselves,” says Reguindin. The app can be played at any time, meaning the educational component isn’t limited to time spent in the classroom or placement. It also provides instant feedback to the user. “If you get a case wrong, the app gives you a reflective prompt. It teaches you clinical decision-making skills so that when you go back you have a better understanding of the questions you should have asked,” says Dr. Meyer. “Given the extent to which this next generation of students is involved in gaming and is engaged in virtual spaces like social media, I think it’s wise for educators to think of how to tap into that and draw these students in,” she says. The app is part of CABHI’s Spark program, which supports early-stage innovations informed by the experience of point-of-care staff by offering up to $50,000 in funding to support the development or refinement of their grass-roots, early stage solutions. Through Spark, CABHI is helping the SOS team refine the app from a beta version into a commercially viable product. They’re looking into packaging the SOS educational app into a suite of products to market to nursing and long-term care homes (the suite would include their SOS Checklist app, also a CABHI-funded innovation). They also plan to work with colleges and universities to explore how the app could function as a learning material in gerontology courses. Integrating this crucial piece of education into an engaging, accessible platform across care homes and higher education means current and future point-of-care staff will be able to keep their knowledge up-to-date more easily than ever before. They’ll be better equipped to detect and respond to early signs of acute deterioration in the older adults they care for, and avoid preventable emergency room visits – resulting in a safer, healthier older adult population and a more efficient healthcare system. Winning the Ted Freedman Award is a gratifying opportunity to share the SOS app with an even wider audience, the project leads say. Canadian Institute for Health Information, 2014.